Free Meal for Government Workers at PiNZ! 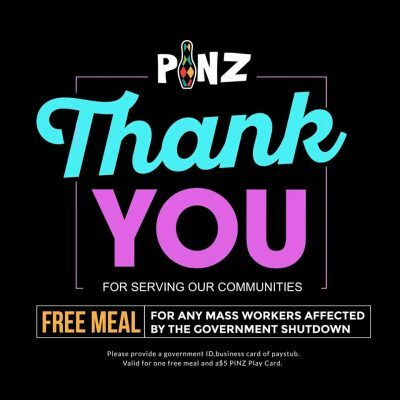 Massachusetts workers impacted by the government shutdown will receive a free meal and a $5 game card when they visit PiNZ! This offer will be valid until the government reopens. Please see venue for details.